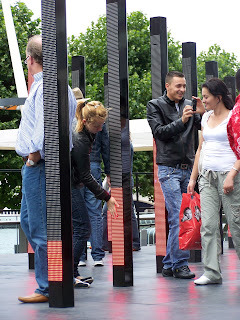 A collaboration between United Visual Artists and Massive Attack resulted in this wonderful, interactive installation on London's South Bank. 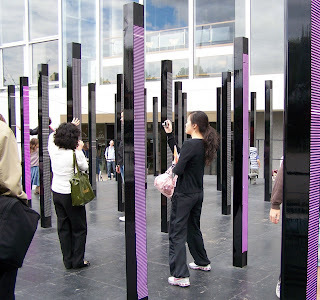 The columns emitted light and sound in response to people's movement. Wow wow! 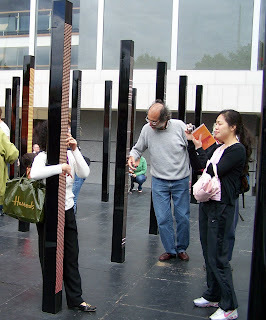 I love these interactive installations; wish I could see it firsthand. Love these...the people are really happy to interact with this exhibit!! Great Photos!! wish I could see this in person. Reya and I stumbled onto something very similar to this in Washington. It was mesmerizing!